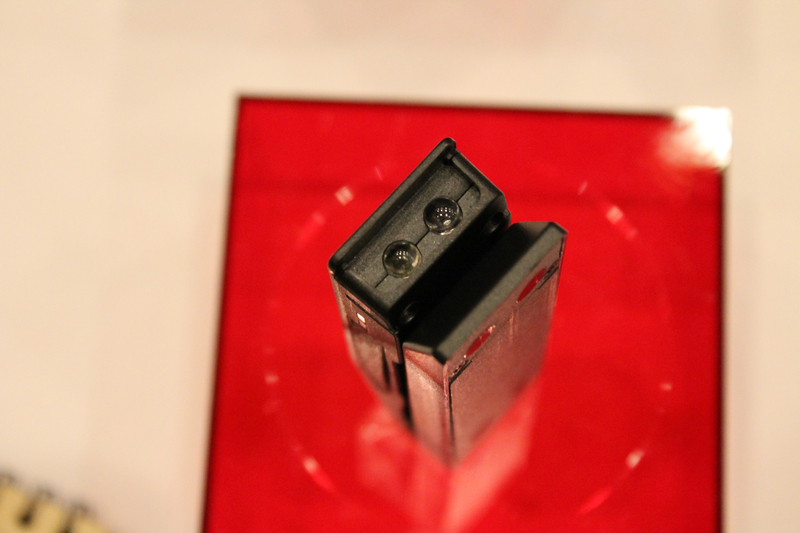 I spied a couple of police body cameras at SHOT Show 2015. 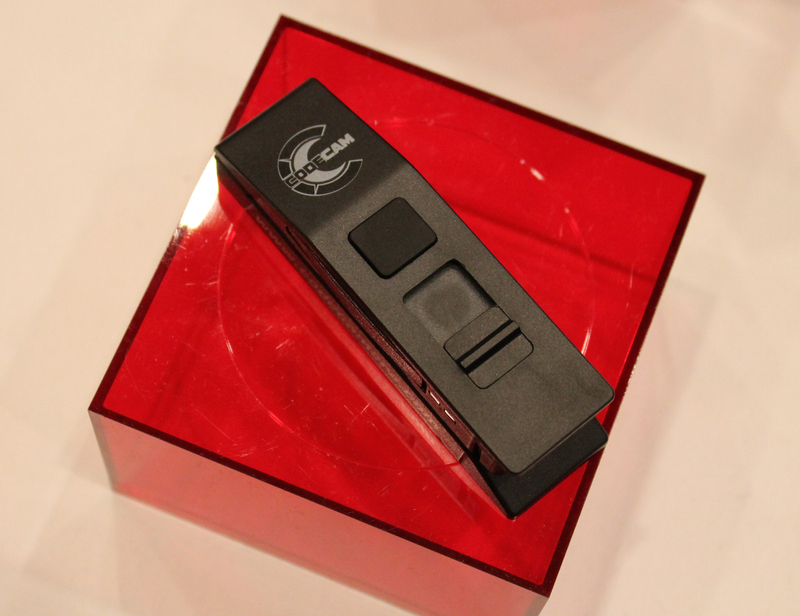 One was the CODECAM designed by HQ Industries, LLC. This is a low profile camera that can be carried in a uniform pen pocket or clipped to other items of clothing or MOLLE webbing. It even comes with a magnetic mount. 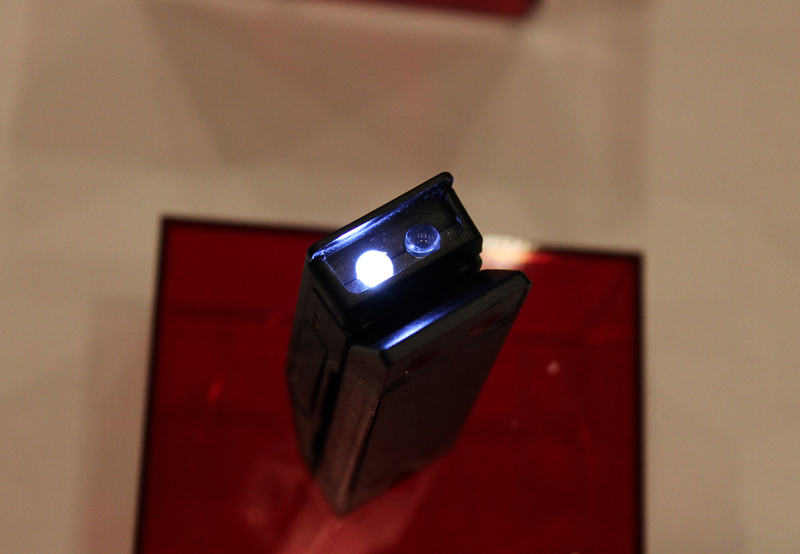 HQ says theirs is the only camera with a built-in LED utility light. 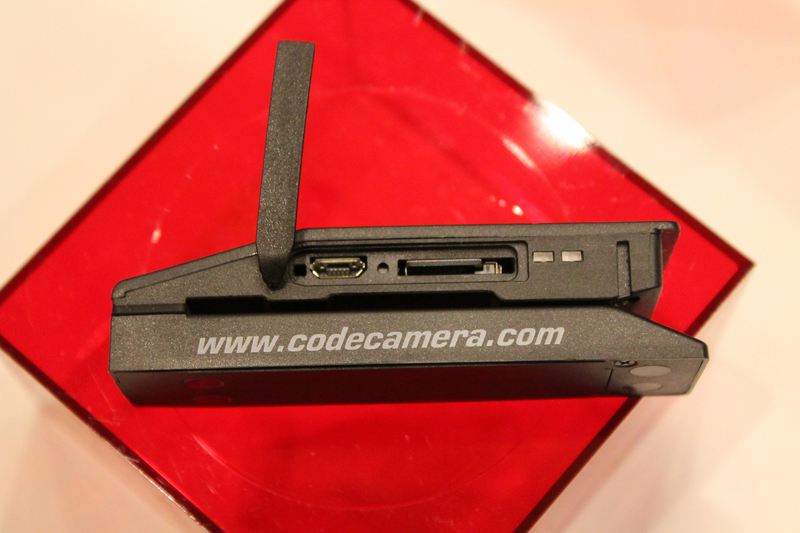 The CODECAM records video in 720p HD at 30 FPS and stores it on an 8 GB micro SD card, which can be removed for upload. Video is recorded, in color and with audio, to .MOV format. Over two hours of video can be captured. The lens of the camera has a 60 degree viewing angle. The unit is rechargeable by USB. 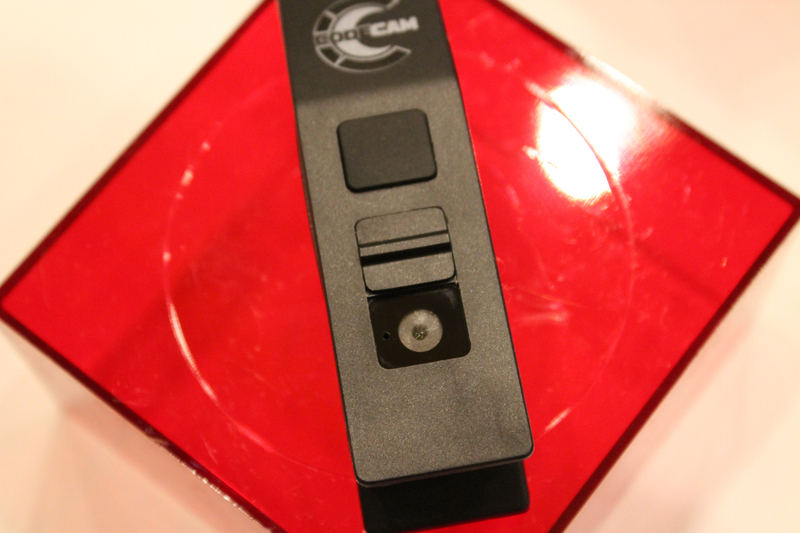 CODECAM is activated by sliding open the lens cover, called the iLid, on the front of the camera. This cover also protects the lens when not in use. HQ says the iLid makes using the camera “mistake-free.” One could just say “foolproof.” We have pretty thick skins. 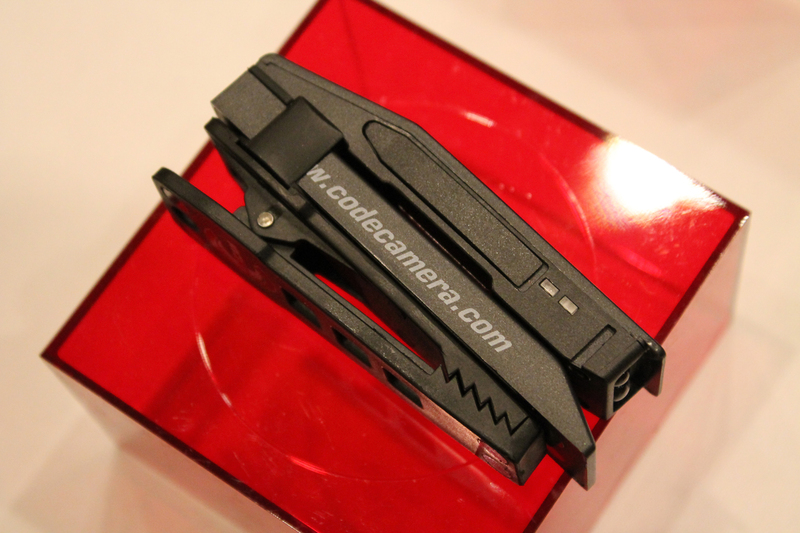 Weighing just 1.5 ounces (2 ounces with 360 degree rotating magnetic clip), the CODECAM is very small, indeed. 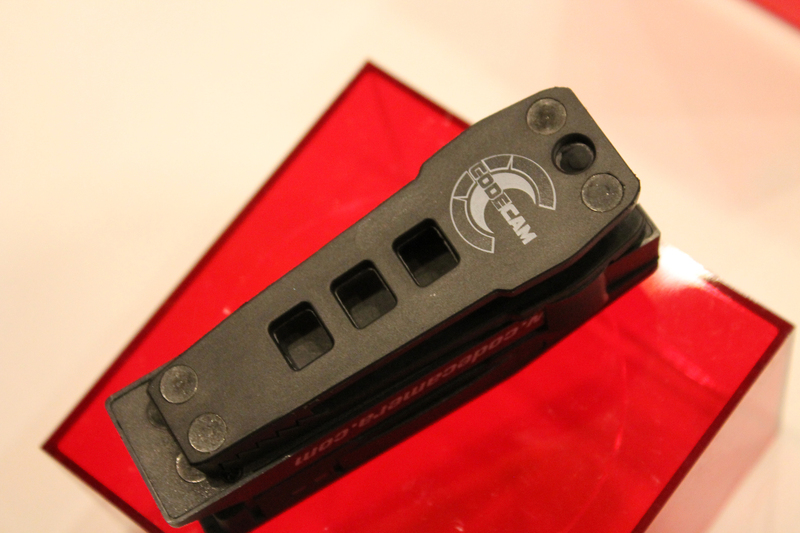 Its body is made of high-strength nylon that is meant to take reasonably hard knocks. HQ Director of Development and designer Brian Quittner is a former police officer. He said the intent of CODECAM is to provide a very low profile police camera utilizing the latest advances in technology. 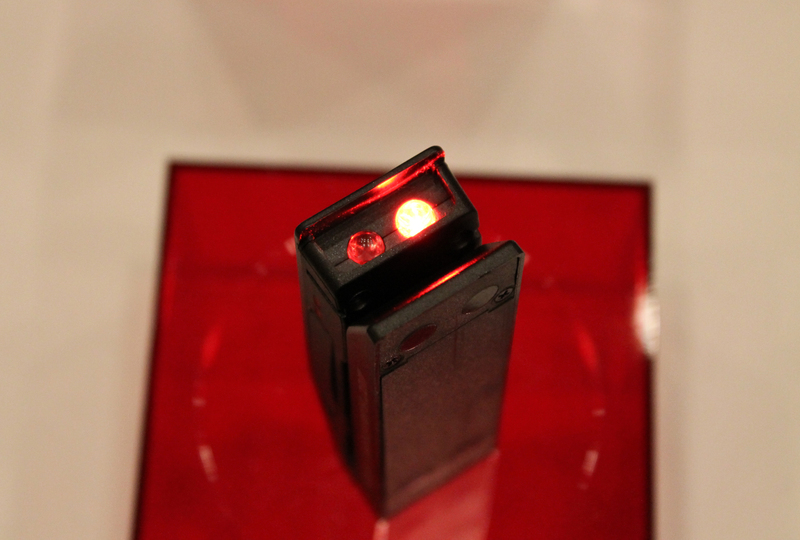 On the bottom of the CODECAM are dual 10 lumen QuiqLite LED’s that shine white or red light downward for an officer to use instead of a flashlight for reading or writing in the dark. The lights are angled at 12 degrees to be slightly in front of the officer’s torso. LED’s automatically turn off after 10 minutes to save battery power. A strobe setting can be used for officer safety and in conjunction with a removable QuiqFlare diffuser. The strobe does not have the auto-off function. 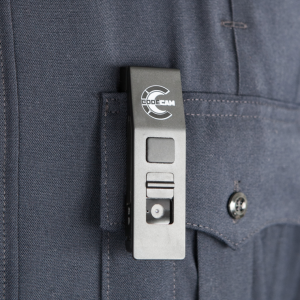 The CODECAM concept was taken from Quittner’s original Quiqlite pocket-mounted public safety light. 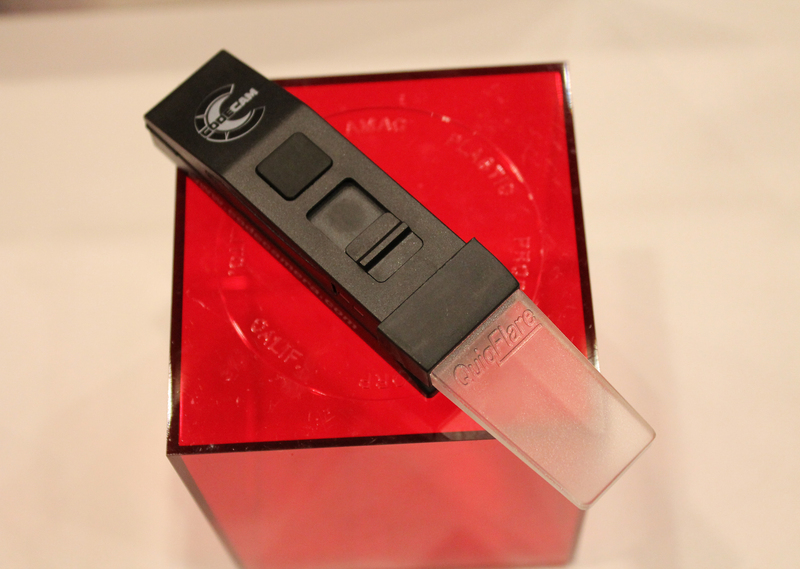 Quittner said he came up with the original Quiqlite product as a result of dropping and breaking his handheld flashlight while writing a ticket. It inspired him to sketch up a solution to this problem. Camera and battery technology have now advanced to the point where a camera/light combination can be miniaturized to this same small size. Overall, the CODECAM has many useful features. Pairing the camera with LED’s increases the functionality of the unit. CODECAM has an MSRP of $200.00. This entry was posted in Officer Safety, Street, Technology and tagged CODECAM, police body camera, Quiqlite, SHOT Show. Bookmark the permalink.